UMNO is to be hit by more of its key people moving out of the party although it is not clear if they'd apply to join Pakatan Harapan or just quit and remain independents. At least 26 MP's are considering moving out together with 2 division chiefs and 14 State assemblymen. 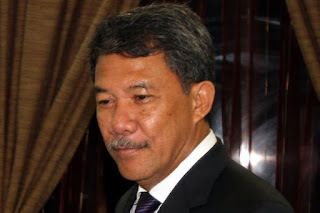 It is believed that two state assemblymen in Perak are now in the final stages of quitting as they seem to have lost faith in UMNO especially since the President himself is being brought to court and charged not with one but with 45 charges. One of the two Perak Parliamentarians was quoted to have said, " we have been lied to by Najib and Zahid and now what we witness are more lies. We were told different things at different times regarding where Najib got his money from, now we are convinced he was lying as the narrative has changed not once but several times and now to keep our dignity intact we are left with two options sack these two men or just quit the party. The same applies to Zahid we do not believe him anymore, he has claimed a lot of things which are lies including that he met the donor of Najib's loot from 1MDB". Indeed the narrative has changed. Whilst Najib's lawyer is desperately trying to shift the blame to the entire 1MDB management team or even the cabinet and take the responsibility away from Najib as he seemed to imply in his press conference after Najib's last appearance in court, Najib is now changing his own narrative on the source of the funds, the pink diamond and everything else. Each time he is faced by questions or charges the narrative changes, keeping quiet as he used to do before when he was in power and just ignoring those who made the accusations in the full confidence that he was untouchable and even punishing those who made accusations against him using all means available to him is no longer an option he has. His former Police Chief Khalid Abu Bakar it is reported, is now on the list to be charged as soon as all the investigations are complete and the evidence is collected. Our sources tell us this will be sooner rather than later. Khalid it is believed has a host of charges too to be leveled against him and some sources say he is eager to leave the country before it happens. A lot is hatching behind the scenes it seems for new story lines, "The Najib Shafie and Zahid Incredible Fairy Tales", and each time a new version of the fairy tale is concocted, we'll hear it from either Najib, Zahid or Najib's honourable Lawyer, his other authors of fairy tales from the forgone era are all now quiet, too afraid to open their mouths as they know they too are under investigation. Taking stock of the present situation, the useless situation, and realising that the reputation of UMNO is on a massive slide it's youth have called for Zahid to go on leave, but Zahid has stubbornly refused to do so and has made it very clear to everyone in UMNO that he intends to stay no matter what, and there can be no question of him going on leave. you that that this is standard practice in any honourable organisation, but Zahid is in no mood to "go on leave" so to speak, he is not the type, he is hungry for power and will not let it go. 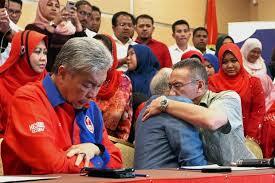 After all it was he who engineered Muhyidin's fall in UMNO so he could become DPM. "He is the first UMNO leader who whilst in service is being charged with criminal offenses and not one but 45, it is a a damming disgrace to UMNO and UMNO has to get him to go on leave if not take action against him which is a very normal thing to do because at the time the membership voted him to power they did not envisage this, for him to be charged for such offenses of a criminal nature" said one UMNO youth member and he continued saying "his refusal gives us no alternative but to study other options if we want to save the party or else it will go down the drain.". "It is not for the party to tolerate him but for him to respect the party and take leave, not resign, just take leave of the party, and that should be no problem if he really is not guilty, then clear his name, come back from leave and take his rightful place with pride, that is all we ask, in that way he will act as a true leader and a gentleman," said one UMNO MP considering a move. That is what UMNO should expect of their leader, as it is the Name, Integrity and Dignity of the Party that matters unless of course UMNO members themselves realise that none of these values exist in their party, sometimes one is inclined to believe so, which also happens to be the general impression of the majority of the Malaysians and the numbers in that stream seems to be increasing by the day, as it includes more people especially UMNO members. UMNO can force Zahid to go on leave and if it has to go that far, then that it is as good as telling their President he is fired. This can be done by calling for an Extraordinary General Meeting (EGM). If it has to go to an EGM than Zahid might s well step down from his position as President of UMNO and the mood in UMNO is such that some members are already thinking of moving in that direction, a direction that could have very serious consequences for not only Zahid but Najib and their court cases as well as well as the membership may then demand their resignations or dismissals once an EGM is convened and it will be the clearest sign that UMNO does not believve their Presidential narratives from both Zahid and Najib. As usual with Zahid and Najib they read everything wrong they continue to think that Malaysians are idiots, now they are more convinced that the general majority of UMNO members are with them, that they will support them and "believe" in them, it could be true but that majority is dwindling by the day. In general the less intelligent UMNO members who make the majority of the party, although surely but slowly even these are coming to their senses driven by what the more responsible members of the party are telling them, leaders who are really keen on seeing the party being saved from eventual damnation are changing the minds on the "Incredible Fairy Tales of Najib, Zahid and His lawyer". The "belief" of the UMNO members who support the narratives are based on the premise that if Najib comes back there will be money in it for them, in UMNO they have been used to this for far too long, the politics of patronage that they find it impossible to let it go so they fight tooth and nail to try and re-establish it, many knowing tthe narratives to be untrue. The UMNO plan collapsed and so did UMNO it just could not carry on with this brand of politics, as Mustapa Mohamad and he will tel you. The politics of patronage UMNO style just cannot be sustained and it over lived its time after 60 years, it just became excessively costly and has brought the nation to the brink of bankruptcy. Now that Mustapa Mohammad has joined the PPBM he can probably give everyone an intimate account Najibs' sand Rosmah's shopping spree. How Najib is an incessant wine and cigar smoker and much more, like how mega shopping was planned and drawn into the itinerary of Najib's foreign business trips. The shopping in New York and in Korea, after all both Mustapa was there on the trips. Mustapa's crossover to Pakatan will take UMNO by storm if Najib is not too careful, and it is also a good idea to keep Mustapa and his wife protected at all times, he is too much of a liability to the Najib geng. Talk is rife that even the deputy President is contemplating throwing in the towel, but is being hampered by the challenge to his position as an MP in the elections court. There is a great likelihood that the results of that election will be nullified and a new election for that seat will convened, and going by the results of recent by elections he does not seem to stand a chance and that is the only issue hampering the move. 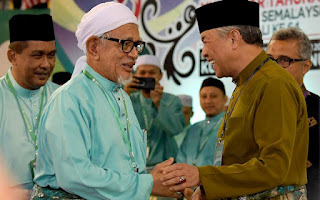 He is very interested in the Presidency by default, and that is why it is romoured that he is inciting members behind the scenes to call on Zahid to go on leave, if Zahid moves out then even if he loses his Parliamentary seat he will have a strong hold on the UMNO and its politics. 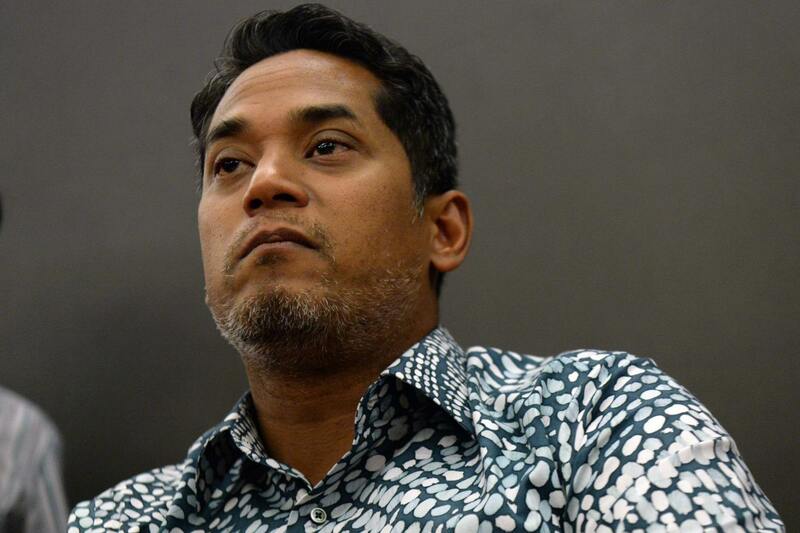 UMNO has a few alternatives and among them is Khairy Jamaluddin, if Khairy wants to take over he has to muster a young team with influence among the grassroots with unblemished records, a rare commodity in UMNO, these must be intellectuals with good grassroots support and challenge the present day hierarchy, with the support of other influential senior members in the Supreme Council who are honestly interested in the UMNO struggle, but even that is a rare commodity. Khairy instead is following in the footsteps of his father in law without realising that that modus operandi of his father in law is outdated, completely outdated, he is trying to play it cool and then ascend the way Abdullah Ahmad Badawi did. Well he can play it cool but if change does not come to UMNO and soon it will be seen as insignificant, the leaders will be looked on as nobodies and the party will be condemned to the dustbins of Malaysian political history, it really wouldn't matter who leads UMNO as it would have gone to the dogs. The issues at hand are very serious, it is corruption at the highest level of government, it is criminal, it even involves family members of the President and the ex President who till today command a lot of say in the party, and when the axe falls on these two men it will be on UMNO too, for there is within the party those who are so vocal and supportive of these two men. Then who takes over?? The take over has to start now. A coup of sorts. The UMNO supreme council does not have to be that smart, we all know they lack the intelligence, but let them not be seen as people who lack what is most important ingredient of all - integrity. The party's moral fabric is in question with the majority of Malaysian Malays (not necessarily confined to UMNO) included who are calling this to question. Billionaires abound in the party. How they acquired such enormous wealth defies logic, and yet after 60 years UMNO claims that the Malays have been left behind. Well surprisingly that is the truth, the majority of Malays have been left behind by such thieves and robbers, who stole that right of theirs skimming off the top of the economic pie for a a select few of the UMNO elite and leaving the crumbs for the rest, so how can they not be left behind. In Education the Children of the UMNO elite get the best, they are schooled in elite British Institutions, or in the States and all in English to the extent that their Bahasa is weak. They live like the spoiled children of some of the British millionaires, or they spend money of the people provided to them either directly or indirectly by the people of Malaysia via government channels without our knowing. What does the ordinary Malaysian get? He is told to study in a Malay school, he is told to forget about English it is not important by UMNO brass, he goes to university and is not able to use reference material because most of it is n English. He fares badly in the examination, that is of no consequence, he is passed and graduates to find that the private sector will not employ him for a position for which he is seemingly qualified. Why and very honestly because he fails to answer even the most basic questions correctly. To make things right he is placed in government service. Generally speaking the ordinary Malaysian by the very education system is left ignorant, and this has been done on purpose, it was planned with the objective of not allowing them to think independently and form opinions but to follow what the government says and it was vigorously done during the Najib years. The BN government wanted and planned a ignorant batch of Malaysians most of the non Malays came out of that mold by interactions with people of other races, taking English seriously, many Malays fell into this wretched circle and have become the backbone of UMNO or PAS today. 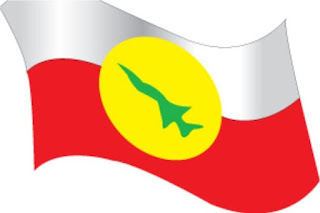 At the end of the day these ill informed, and ill equipped children are given jobs in Government service to keep them contended, religion and race are brought to the fore to ensure that they fall in line and reluctantly out of fear that the others are out to rob them of everything and as a result UMNO and PAS are accorded support. Any wonder why the government service in Malaysia is among the largest in the world in ratio to population, and any wonder why it is also one of the most inefficient? UMNO has to wake up from it slumber, its leaders those who really care should actually forget Najib and Zahid their problems has nothing to do with UMNO, if they want to revive the party, and get on with reviving the party. To do that they must be prepared to show the word that they are a party of people and not individuals. Individuals who brought the party down are of no concern to the party, they brought the party down, now UMNO has to get into to the revival mode and build again or be prepared to go down in History of Malaysia n disgrace, as the most corrupt party this country has ever seen.